I love PEPLUM! These tops come in all colors, shapes, and textures and are flattering to pretty much every single body type. Whether you are thin, curvy, or tall – this cut and style will look amazing on your body. It can be styled with a skirt, jeans, or even slacks and it works for all occasions. The point of peplum is simple – to accentuate a woman’s shape and highlight the curves of the waist. Sometimes I really have to stop myself from over-purchasing in this style (even though I don’t think you can ever over-purchase beautiful clothing). 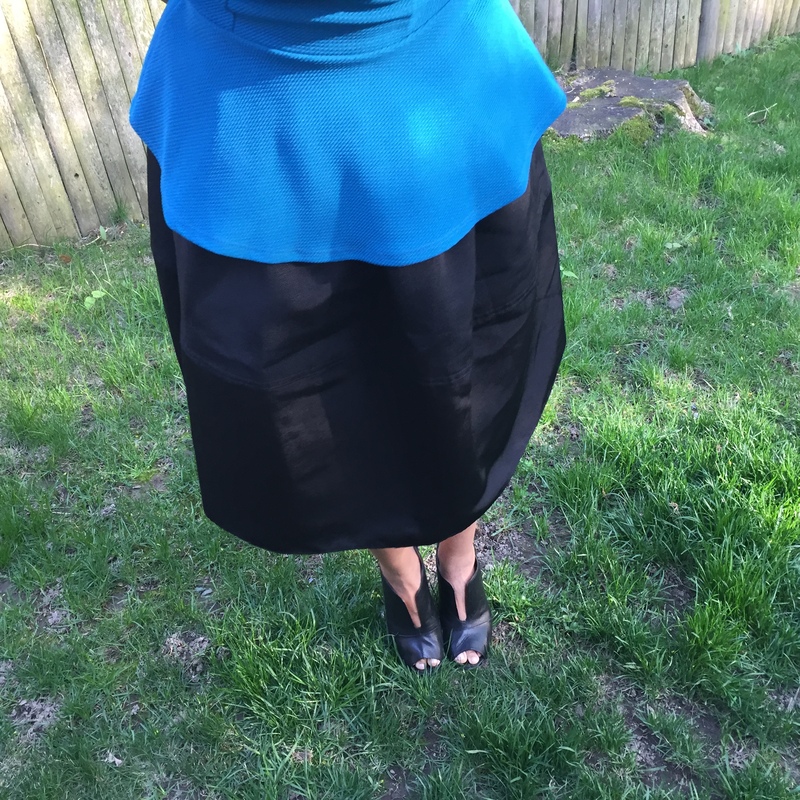 I paired the peplum top with a high waist full midi skirt. The midi skirt has really come back into the fashion scene and I am thrilled with the trend. I love the fullness of the skirt and I just discovered the other day that it has pockets! This skirt is awesome – even more so since I can carry my phone and car keys around without holding them in my hand all day. The finishing touches are fun peep toe booties along with a cluster pearl statement necklace. This whole outfit resembles a modern day Alice in Wonderland – don’t you think? Here is a great article about How to Pick the Right Peplum for your Body Type. Thank you so much for stopping by and reading! Have a great Wednesday!